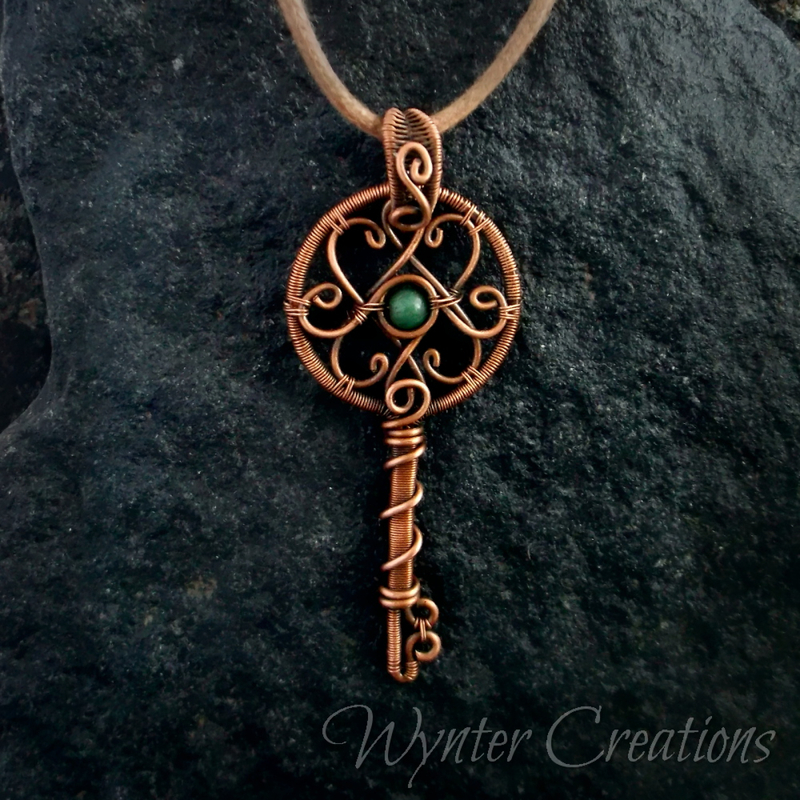 Romantic and graceful, this Victorian-inspired wire wrapped key pendant evokes a sense of mystery and magic. 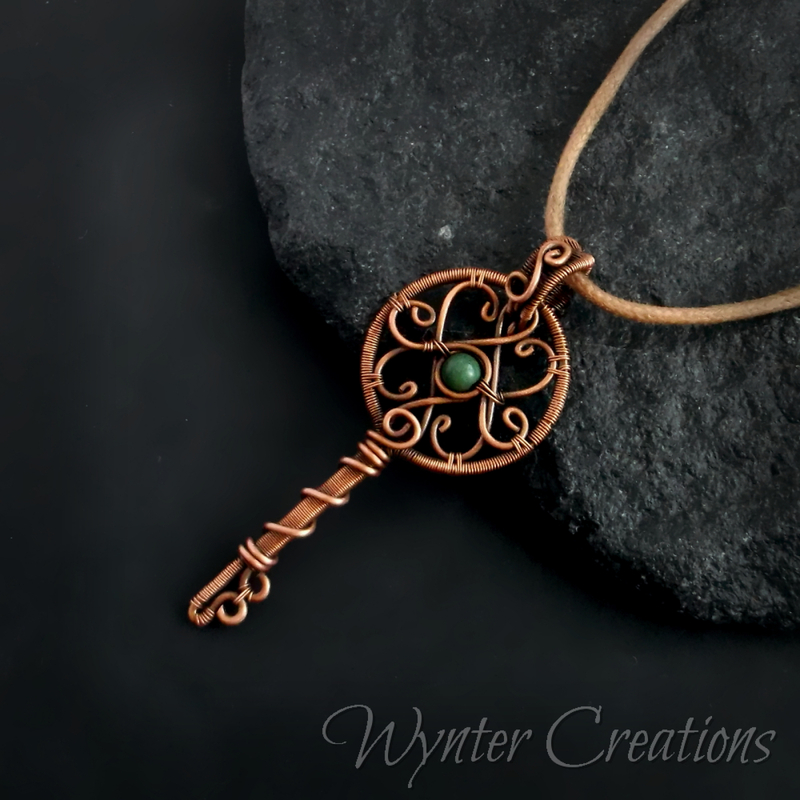 It features an African jade stone at its center, surrounded by delicate copper swirls. 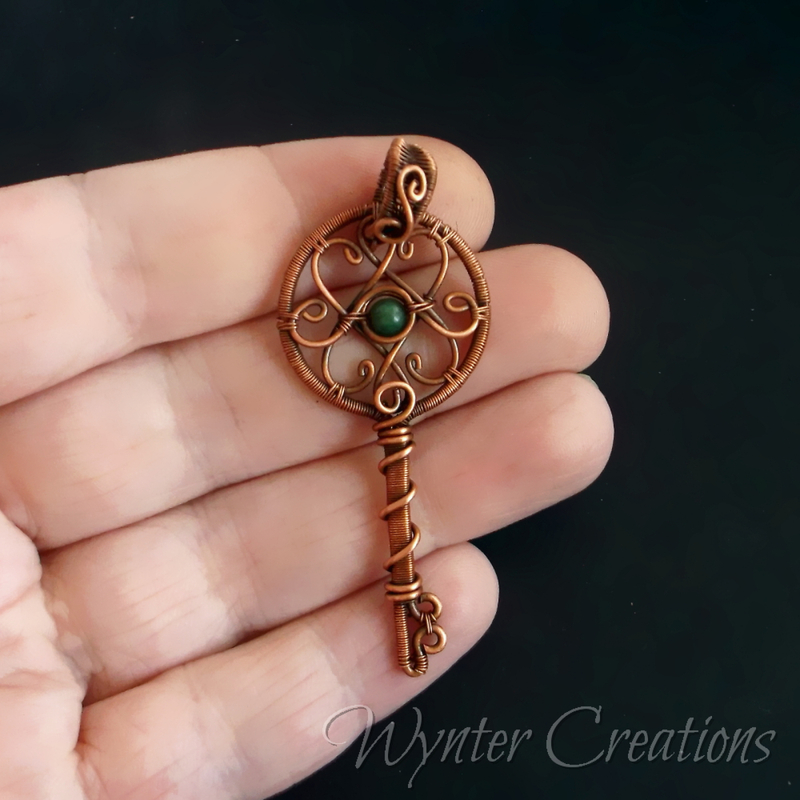 The Lucrezia key pendant measures 6 cm long and 2.5 cm across at the widest point. 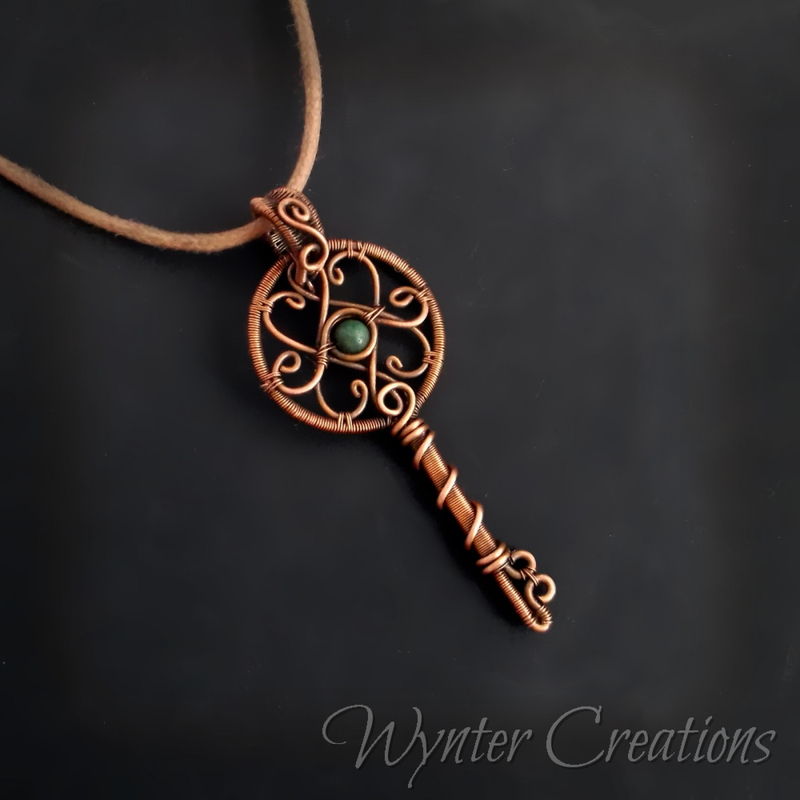 In the lore of gemstones and metals, copper is thought to improve circulation and relieve pain. It's associated with the sun and with luck, and is believed to enhance the properties of gemstones. African jade (or green grossular garnet) is associated with confidence, abundance, and motivation. It's used to represent hopefulness and vision.